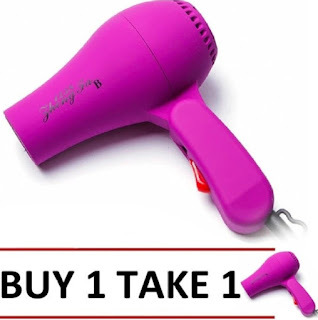 Home / below 600 / ladies / tipsandtricks / Top 5 Hair Styling Tools from Lazada - Boost your confidence! Top 5 Hair Styling Tools from Lazada - Boost your confidence! Aside from having a good makeup, having a stylish hairstyle is a must if you want to look prettier than ever. Whether you're going on a special occasion or just hanging out with your friends and family, having a good hairstyle can boost your confidence and gives you the edge to strike a good first impression. I asked my wife to help me scour Lazada to look for the most popular hair styling tools. 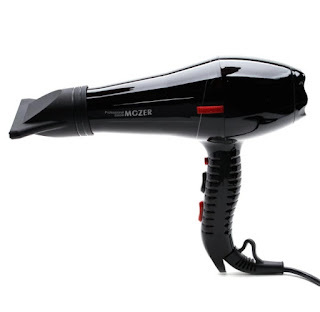 Having the Mozer dryer as your styling tool will save your hair not only from a bad hairstyle but from hair damage too. This dryer has a 3000W motor that ensures great drying results. Its ionic feature protects your hair and leaves it beautifully styled, hence the only thing left to do is add a beautiful accessory to it or just enjoy its natural glow after being blow-dried. Equipped with two different air pressures from its two concentrators, the Mozer dryer also takes your comfort into consideration, giving you all the right tools to have perfect hair with just a touch of a button. 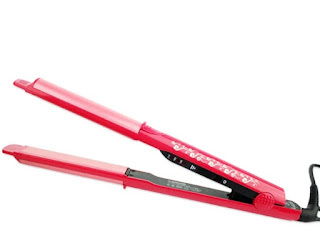 The NHC-822 Professional Ceramic Hair Straightener is easy to use and functional. It features a thermostatically-operated switch, giving you better control when fixing your hair. You also don't have to worry about burnt locks thanks to the ceramic plates which provides even heat distribution all throughout your threads. Achieve beautiful wavy locks with RZ-118 Professional Hair Curler. The RZ-118 Hair Curler has a ceramic coating on a thick plastic material allowing for a fast heat up and cooldown. It has an indicator light that will start to blink once it's ready to use. And it actually heats up pretty quick, this is great for people who are always on the go but still want to be stylish. 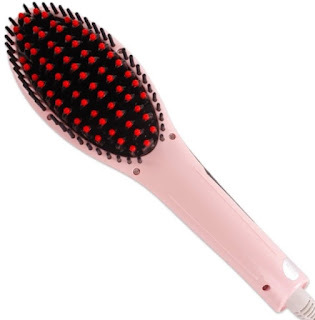 This is the second hair straightening product on this list because its approach is a bit different, it's a brush type. My wife actually have this and it's working as advertised. The HQT-906 Fast Hair Straightening provides you with a quick way to get your hair straight! 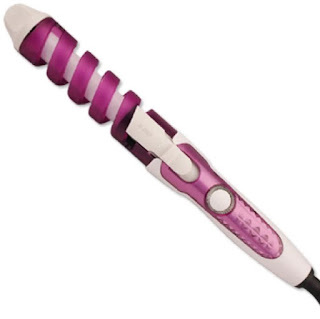 Equipped with variable control, it allows you to work on all hair types without fuss. Its plate expansion technology allows it to quickly heat up. Plus its comb design makes for an ergonomic design that's easy to hold. You just use it as you normally use a brush. This is also the second hair dryer on this list, the reason why I included this is because it's a compact alternative to the Mozer dryer. Plus the ongoing offer is hard to pass, you get two for just around 300 pesos! The product page doesn't provide enough information though, but looking through all the ratings and feedback from the verified buyers it looks like the product works as advertised. It's compact with two modes, normal air and hot air which is pretty nice. Note: Make sure to add these hair styling tools to your wishlist, Christmas is coming. It was fun doing this list with the help of my wife, she knows more about these products. As a man and a husband, I appreciate when my wife spends time doing her hair and makeup and I support her all the way when she spends time buying makeups and other cosmetic products as well as when she watches beauty vloggers on youtube. Its just the way girls are. We all have our own interests and I'm glad to provide you guys with content not just for gadgets but for ladies as well. I'm open to expanding my blog to include other categories such us home and living, sports and things like that.